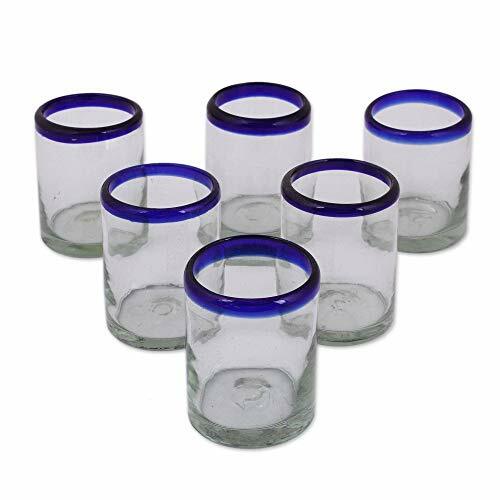 About this item: Bordered in brilliant cobalt blue, these delightful tumblers bring a festive touch to any table setting. Classic and tasteful, the set of six comes from the workshop of Javier and Efrén, who have been working with blown glass for more than 30 years. Size: 3.9″ H x 3.2″ Diam.